An annual filing report is a whole and extensive report of a company’s activities during the previous year.Annual reports are required to give complete information about the company’s activities and financial performance to all the stakeholders associated with the business. Annual filing includes various reports such as general corporate information, operating and financial review, director’s report, financial statements, accounting policies and others. In fact in many cases it is mandatory for a business to disclose its annual filing reports.An annual report is a comprehensive report on a company’s activities throughout the preceding year. Annual filing are intended to give shareholders and other interested people information about the company’s activities and financial performance. They may be considered as grey Most jurisdictions require companies to prepare and disclose annual reports, and many require the annual report to be filed at the company’s registry. Companies listed on a stock exchange are also required to report at more frequent intervals (depending upon the rules of the stock exchange involved). Companies in India must conduct an Annual General Meeting at the end of each financial year and file an annual filing return with the Ministry of Corporate Affair to maintain compliance. For newly incorporated Companies, the Annual General Meeting should be held within 18 months from date of incorporation or 9 months from the date of closing of financial year, whichever is earlier. Subsequent Annual General Meeting should be held within 6 months from the end of that financial year. In India, normally the financial year starts on April 1st and end on 31st March. So a Company’s annual return would be on September 30th. Annual filing return consists of information and documents that include the Balance Sheet of the Company, Profit & Loss Account, Compliance Certificate, Registered Office Address, Register of Member, Shares and Debentures details, Debt details and information about the Management of the Company. The annual return would also disclose the shareholding structure of the Company, changes in Directorship and details of transfers of securities. 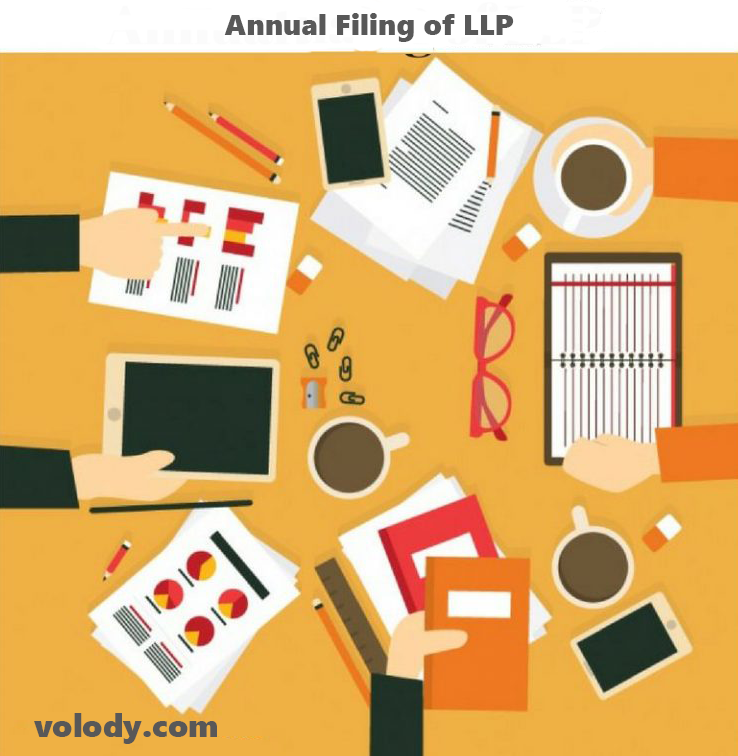 volody can help file your Company’s annual filing return in India.Annual filing reflects important details about the company and revises its structure. The capital structure of the company on master data, if there is any changes in directorship and also the transfer of securities till the date of AGM. Filing status is a very important factor for determination of taxable income. It’s a category that defines the type of tax return form any individual will be using. Filing status is primarily based on family and marital status of an individual. open www.mca.gov.in/mca21 and click on annual e-filing and then on check filing status and enter the company name in search bar. Important things that have to be remembered during Annual Filing is balance sheet and profit and loss account are filed separately, each e-form along with attachment should be less than 2.5 MB, it is advised touse text file/Excel sheets,and finally the MCA21 data base in respect to Authorised capital and Paid up capital may not be correct and companies are requested to apply for correction but also to declare the correct amounts without waiting for formal correction in database. 1. MCA21 portal through the Annual Filing process link. 2.The company representative can prepare the e-Form following the guidelines, copy them in a CD and go to the nearest Temporary Facilitation Offices. 3. Company representative can contact any of the Certified Filing Centers (CFCs). The electronic versions of Forms AOC-4,AOC-4 XBRL AND MGT-7 are being developed and shall be made available for electronic filing.It had been decided to relax the additional fee payment on forms. Further a company which is not required to file its financial statement in XBRL format and is required to file its CFS would be able to do so in a separate form for CFS without additional fees. Every LLP which is registered with the Ministry of Corporate Affairs has to complete the procedure of Annual Filing. Annual filing return (Form 11) is a summary of LLP’s partners. Any changes in the management are included. Every LLP is required to file it with the Registrar within 60 days from the closure of financial year. 2.Statement of accounts All LLPs are required to maintain Books of Accounts in Double Entry System and has to prepare a statement every year. 3.Filing income tax returns of the LLP LLP is a separate legal entity so with the partners income tax return anuual filing the LLP income and calculating tax liability and pay taxes is essential. Audit Requirement under LLP Act: Only those LLP whose annual turnover exceeds Rs. 40 lakhs or whose contribution exceeds Rs. 25 lakhs are required to get their accounts audited by a qualified Chartered Accountant. Audit requirement under Income Tax Act: Audit of accounts is mandatory requirement under Income Tax Act when the annual turnover of LLP is more than one hundred lakhs rupees. Call 8080809301 for more details.